Every visit to Great Dixter is a treat, but when the additional carrot of a plant fair is dangled in front of my face, that treat becomes an irresistible temptation. And so it was, having hauled myself out of bed at the crack of dawn to complete my domestic duties, I set off towards the farthest corner of Kent and across the border into East Sussex. Passing through Biddenden, Rolvenden and Tenterden, enjoying the gentle countryside in between, I quickly became part of the picture-perfect world of oasts, orchards and weatherboarded cottages which typify this part of England. Despite arriving a little early, I was not the first; not by a long stretch. 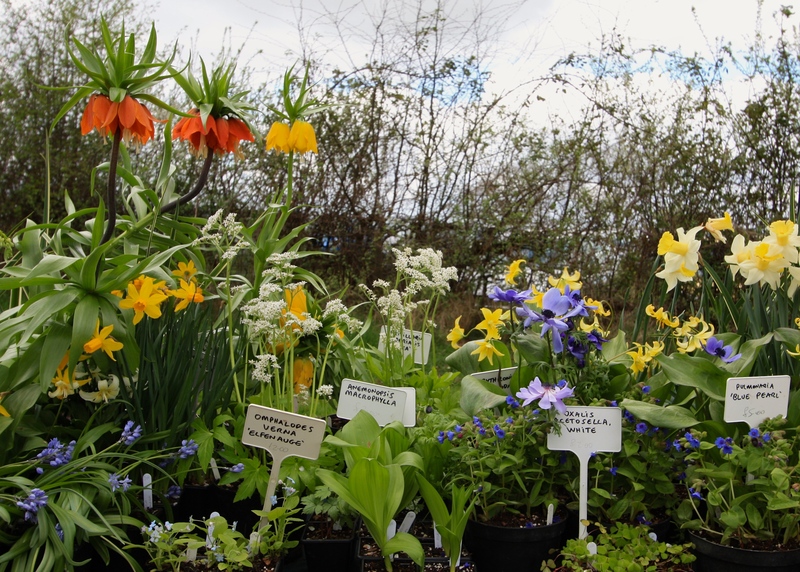 Having been ushered into a parking space by Fergus Garrett, Great Dixter’s Head Gardener, I slid out of the car to the sound of people earnestly and eagerly buying plants. Fergus, in a neon-orange hat, complimented me on my parking, which I thought was kind given we were in the middle of a field. Having not attended one of Dixter’s bijou plant fairs before I was not exactly sure what to expect, but my guess was that it would be a classy affair. I was not disappointed. 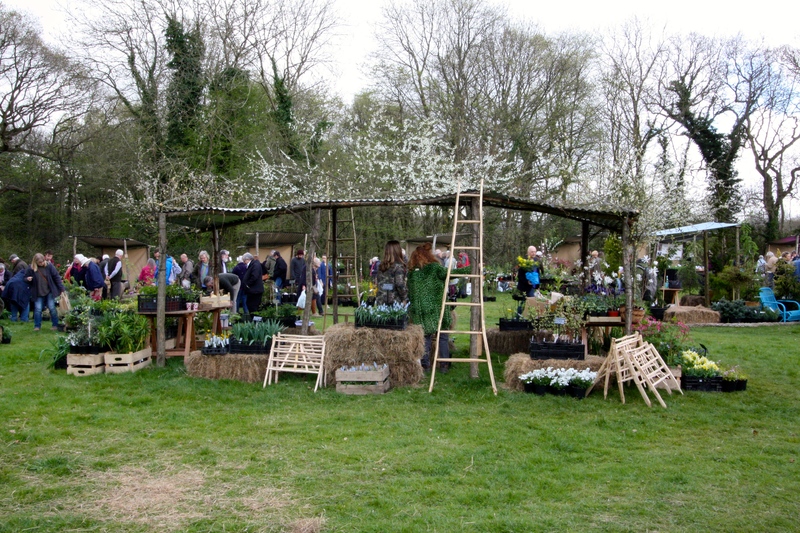 The set up was so rustic it could almost have been the set of Darling Buds of May; all rough-hewn poles and sack-cloth awnings, hay bales covered in ticking and blackthorn branches for decoration. It was wonderfully low-tech and utterly delightful. Most of the fair-goers, myself included, had got the memo, donning themselves in tweed jackets, oversized knitwear, waistcoats, fitted jeans and posh wellies. I rarely have occasion to wear my sloppy indigo-dyed sweater, but here was the perfect event for it. The early birds were not about to leave any worms for those tardy types who aren’t prepared to tip out of bed until lunchtime. Two friends who I haven’t seen in years temporarily suspended themselves from our surprise reunion in order to bag the best of Cotswold Garden Plants’ tender exotics table. 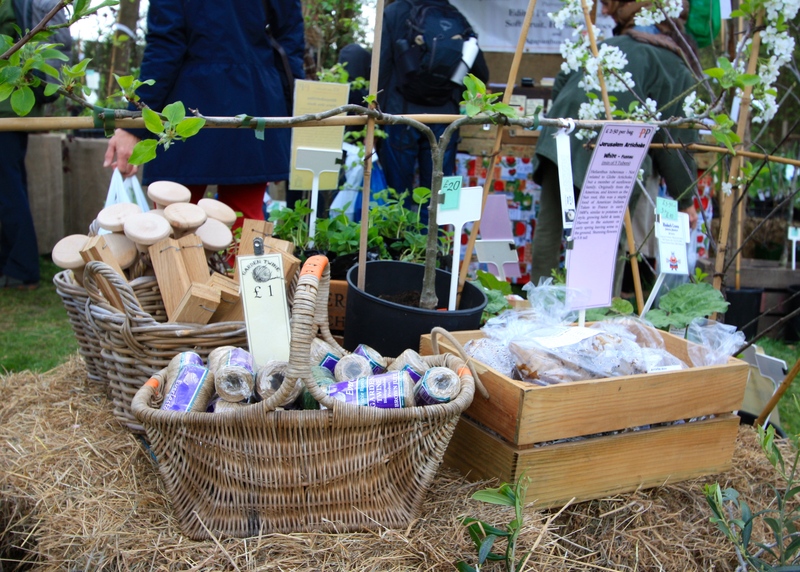 By the time I had organised my camera and taken a deep breath, they had already filled an apple crate with all manner of goodies for their garden and were guarding it against other plant plunderers. Even in these rarified surroundings plant shopping can be a cutthroat business. I promised myself that I would not get drawn into the feeding frenzy, but within minutes I had my hands on Salvia aurea ‘Kirstenbosch’ which I had first admired in Arit Anderson’s ‘Near Future Garden’ at Hampton Court Flower show, and then forgotten about. I seem to be drawn to curiosities at the moment, and this is no exception. 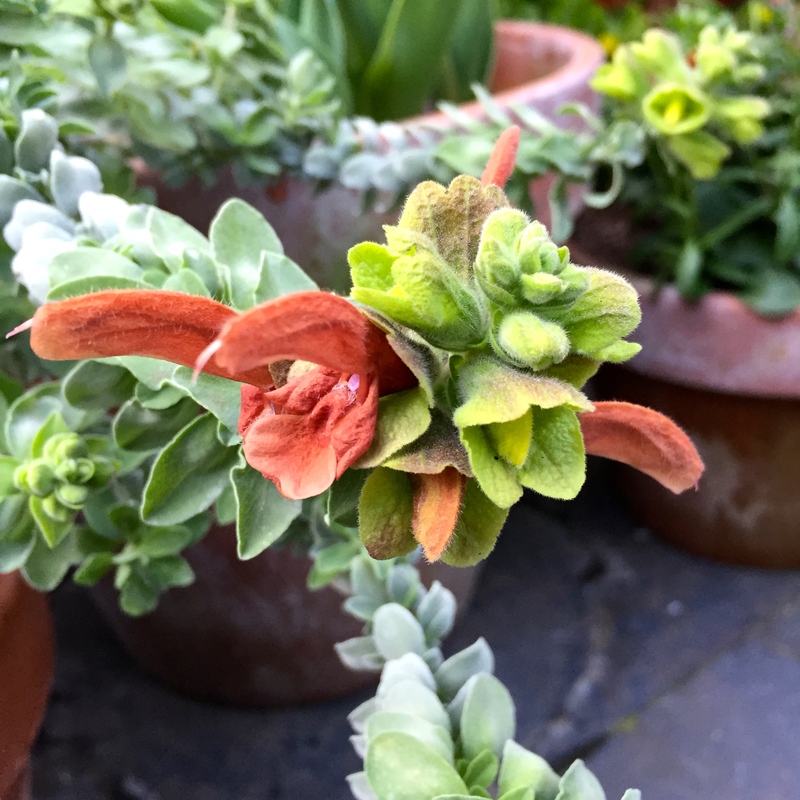 A native of South Africa, Salvia aurea ‘Kirstenbosch’ has small, silvery, clove-scented leaves and extraordinary rust-brown flowers that, admittedly, look half dead from some angles. I thought it would look pleasing alongside plum and orange tulips in my bulb theatre this spring. Out of the corner of my eye I could see someone else eyeing up the one and only plant, so I snatched it up and held on firmly whilst continuing to browse the rest of the table. I managed to steer myself away from the pleione being offered by Binny Plants, but fell promptly at the next hurdle. Alongside a wide variety of bulbous plant, French nursery F. comme Fleurs had brought along a small selection of very choice spring flowering plants, including a solitary pot sheltering Viola chaerophylloides ‘Beni Zuru’. I don’t often fall in love with violas, easy as that is, since they tend to jilt me pretty quickly. However, this one is the prettiest thing you ever did see and I had to have it. Viola ‘Beni Zuru’ is of Japanese origin and produces reddish-pink flowers on long, burgundy stems, hovering over unusual filigree foliage. I even purchased a pricey Whichford Pottery pot to show my viola off to best advantage. Let’s see how long the relationship lasts this time. Having been to The Salutation the previous week I thought I had seen everything they had to offer, but Steve Edney had kept a few things back for this special event. 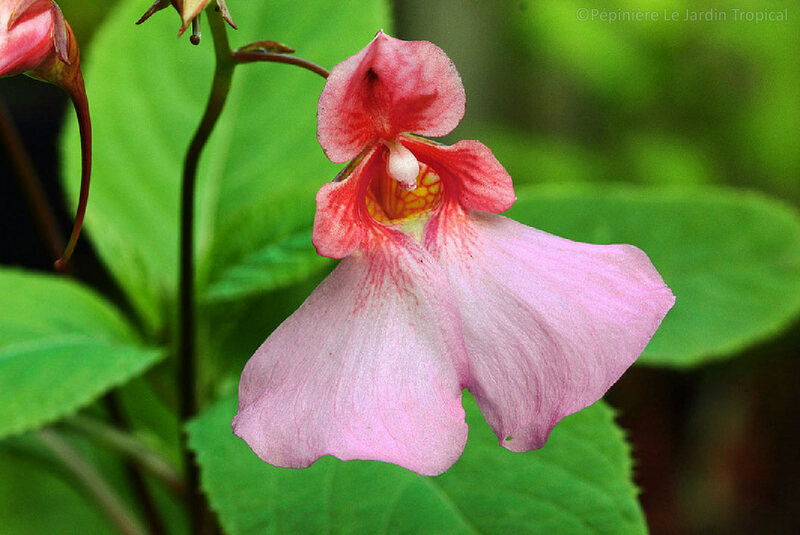 I purchased a 2″ chunk of Impatiens flanaganae root, sitting exposed ontop of a pot of rich compost. 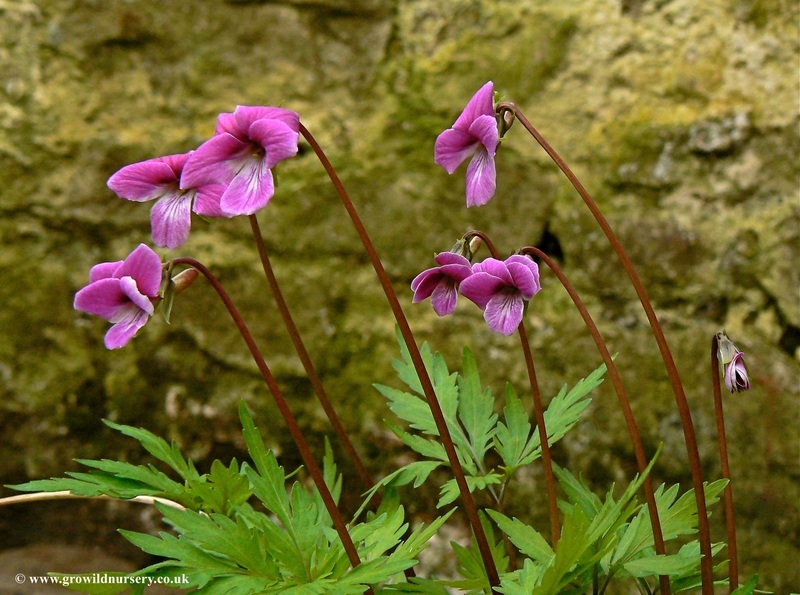 By late summer I am promised stems a metre tall, topped with candy-pink flowers …. and lots more roots to propagate from. To keep the impatiens company I popped in a cutting of Justicia carnea, the Brazilian Plume Flower, which should flower at a similar time. I’d never come across Iris bucharica before, but several nurseries were offering generous potfuls. Having browsed around I decided to buy my plants from Great Dixter’s own nursery. Back at home I planted them in a low, Whichford Pottery bowl (come on, I couldn’t buy one on its own) in a mixture of potting compost, grit and gravel. 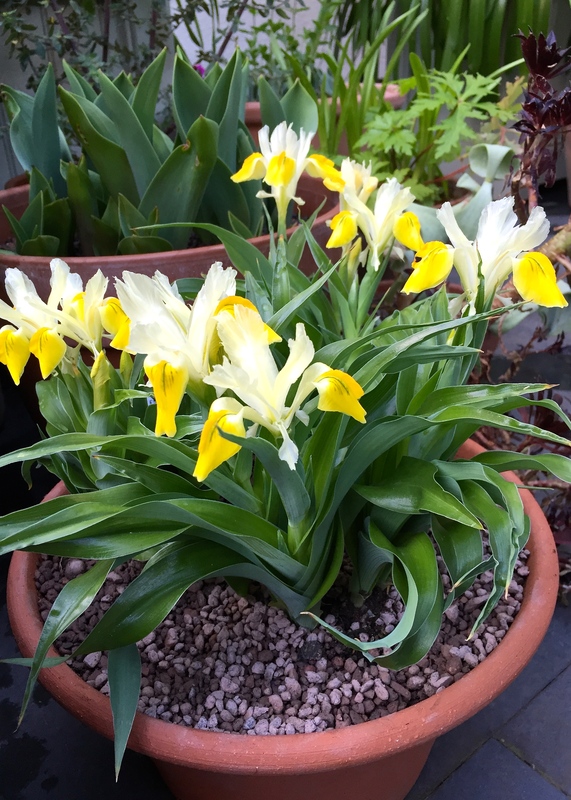 Iris bucharica hails from Central Asia and enjoys sun and sharp drainage. Flowering early in the year it’s going to make a great companion for late flowering daffodils and early flowering tulips and has already taken up a front row seat in my bulb theatre. Although Great Dixter is nearly two hours drive from Broadstairs, it was worth making a day of it. 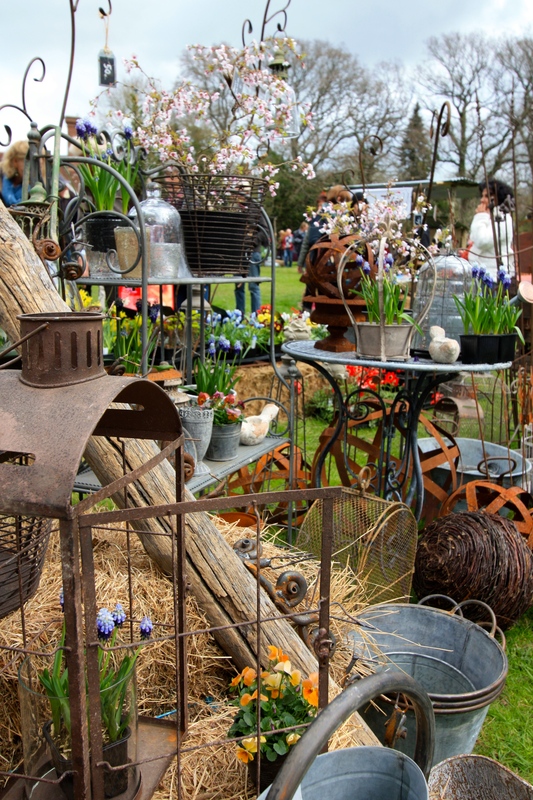 Entry to the gardens was included in the price of admittance to the plant fair. I spent a good three hours milling around, taking photographs, enjoying the sound of birdsong and the perfume of a thousand scented flowers. I’ll be posting a full report shortly. As treats go, this was my favourite kind, and in October I’ll be returning for more. Great Dixter’s Autumn Plant Fair will be held on Saturday 7th & Sunday 8th October 2017, 11am-4pm. I reckon that damage list is pretty restrained! 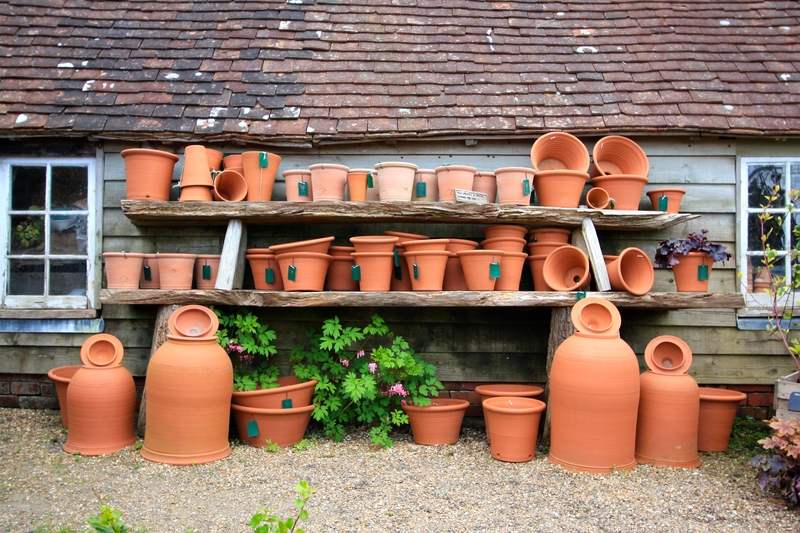 How many Whichford pots though…? Yes, I’m going on the Tuesday with Helen of Oz. Taking a more relaxed approach this year and not making such an industry of it, not least because I won’t have time to write it all up if I do! Another stunning place I have on my ”must visit” list – I understand that the kitchen garden there is divine and that the ‘word” restrained cannot be used to describe the eclectic and amazing plantings that are 20th century fox technicolour, Fabulous post Dan and I think you were very very restrained. Well done! That viola is something else (as, of course, is the salvia you bought) The foliage is almost more special than the delicate flower. Sounds brillliant and you were most restrained! I look forard to seeing that salvia against your tulips shortly. It was a lovely occasion. Many more flowers have appeared on the salvia this week. So far, so good! Worth a pilgrimage at some point if you can manage it. That particular part of Kent and East Sussex is beautiful, so perhaps make a weekend of it? I love Great Dixter and I love your blogs on these visits, they make me put future dates in my diary even if I will not be able to make them. I love your choice of plants as well, especially the viola and the salvia. Thanks Tina. They were the pick of the bunch, although I am very pleased with the iris, which is looking fantastic in a pot. Daffodil colours in iris form! Now that’s a good looking haul. There are times, and this is one, I rue moving west. Worth getting out of bed for, but not at 1.30 in the morning. It would hardly be worth going to bed! That little viola is lovely. The plant fair was in my diary but in the end I couldn’t go, sadly. Fingers crossed I’ll make it to the autumn one. Great Dixter is a magical place, isn’t it? It really is. Even when one has to share it with lots of other people. I had a lovely time last July when I was there, on my own, in the rain. 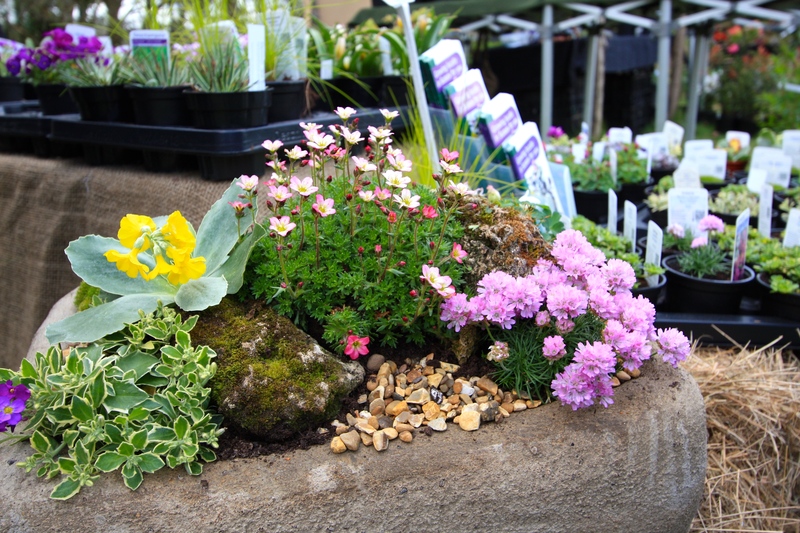 If you go in autumn, get there good and early, leave your plants with each of the stall holders as you go round, and keep your hands free for more goodies! Oh lucky you, I would love to have been there. What an exciting selection you came home with. Iris bucharica is the only Juno iris that I can grow, the rest are really tricky but this one is very reliable. It would look lovely in a pot. I am crazy about the little violet which is quite new to me. I was deliberately being a bit anonymous, but in the autumn perhaps those of us who are going along should make a concerted attempt to meet up? It comes to all of us Gill, eventually! This weeks Reblog Sunday is from The Frustrated Gardner. 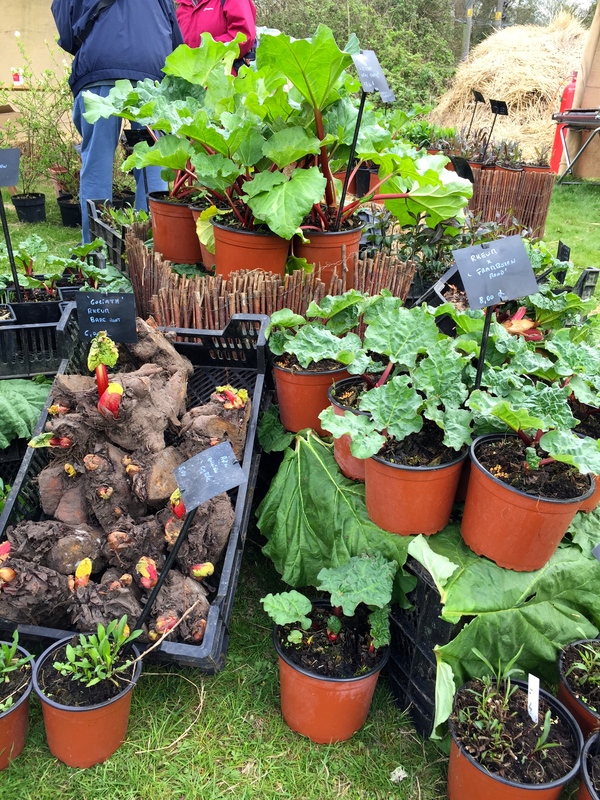 In this particular post, the plantsman takes us on a trip to a plant fair. I hope you enjoy the beautiful plants like I do. I could definitely do some plant collecting throughout this blog. I Do hope you bought some raffle tickets,if not, hope you’ll buy some at the Autumn one. First prize a week at our cottage in the Loire Valley near Villandry and lots of other fabulous gardens!